Julia McCoy is a writer and entrepreneur. She started Express Writers at 19, and today, it's a seven-figure writing agency with over 70 writers and thousands of worldwide clients. 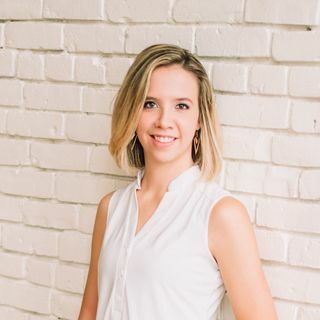 Julia McCoy started a six-figure content writing agency with a pocket investment of $75 after she left nursing school and quit McDonald's at 20 years old. Why? It's what she loves doing. In The Write Podcast, Julia brings her passion to the microphone, sharing inspiring stories from entrepreneurs and interviewing guest experts, ... See More with episodes packed with real-world strategies for creating great content on the web, from content marketing as a whole to best SEO keyword research practices, storytelling techniques, insider social media tips, and much more. Notable guests include Joanna Wiebe, Sujan Patel, Gini Dietrich, Jeff Deutsch, Michael Stricker, Steve Rayson, Guillaume Decugis, and many more. For more, visit www.expresswriters.com/write-podcast.